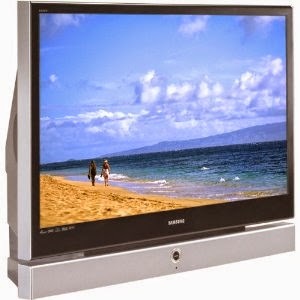 I recently got a free SamSung HLR5067WX 50" DLP TV from a relative. It was working and started making a loud buzzing noise and the picture went crazy. I figured that the fan had failed and a chip had overheated, so I brought it home to see if I could repair it. With any luck the chip isn't cooked, and a new fan will bring her back to life.